A huge loading dock at the National Conference Center has turned into Loudoun’s version of Santa’s workshop. For the Salvation Army’s Angel Tree project, almost 200 volunteers are spending three days this week in the loading dock sorting bicycles, clothes, dolls, games and other toys to ensure the good kids in the county get a few of their gift wishes granted. The first families were invited to pick up their children’s presents Thursday. By Saturday, more than 1,500 area children will have gifts under the tree or stuffed in stockings waiting to be opened. At the NCC Thursday morning, Sharon Thomas-turned-Santa’s-volunteer-elf looked over each child’s wish lists and carefully selected toys, games or clothes for each girl or boy’s box. “I want to make sure they get what they really want,” she said. 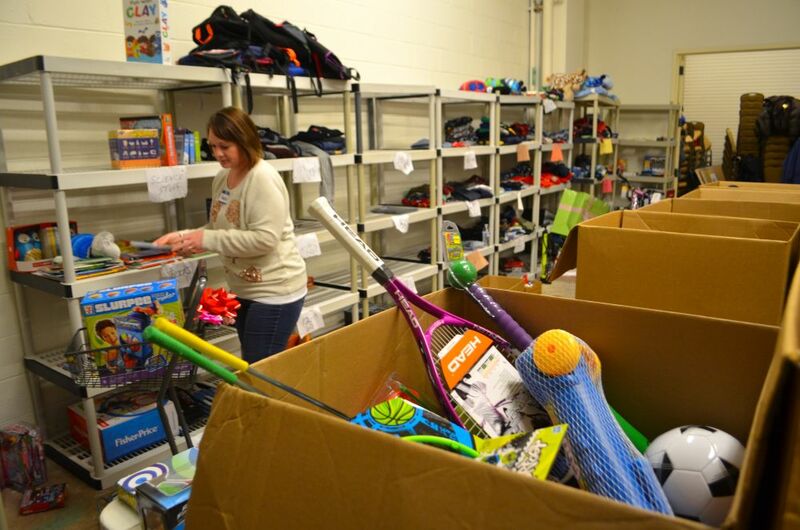 Liz Stefanik, development director at the Salvation Army of Loudoun County, said the entire operation, now in its 18th year, is an example of community members taking care of their neighbors. In October, 782 families registered at the Salvation Army social services office for their children’s gift wish list to be hung on one of several Angel Trees throughout the county. Each Angel Tree tag includes the child’s age, gender, clothing size and a few wish list items. The tags were hung on Angel Trees at Dulles Towne Center, Walmart and several businesses, including Orbital ATK in Sterling and REHAU in Leesburg.